People have being taking new year resolution / pledges for an estimated 4,000 years now. The tradition is thought to have first caught on among the ancient Babylonians, who made promises in order to earn the favor of the gods and start the year off on the right foot. Throughout antiquity, civilizations around the world developed increasingly sophisticated calendars, typically pinning the first day of the year to an agricultural or astronomical event. In Egypt, for instance, the year began with the annual flooding of the Nile, which coincided with the rising of the star Sirius. The first day of the Chinese new year, meanwhile, occurred with the second new moon after the winter solstice. In ancient Rome, the original calendar consisted of 10 months and 304 days, with each new year beginning at the vernal equinox; according to tradition, it was created by Romulus, the founder of Rome, in the eighth century B.C. Over the centuries, the calendar fell out of sync with the sun, and in 46 B.C. Julius Caesar decided to solve the problem by consulting with the most prominent astronomers and mathematicians of his time. He introduced the Julian calendar, which closely resembles the more modern Gregorian calendar that most countries around the world use today. As part of his reform, Caesar established January 1 as the first day of the year, partly to honor the month’s namesake: Janus, the Roman god of beginnings, whose two faces allowed him to look back into the past and forward into the future. In medieval Europe, Christian leaders replaced January 1 as the first of the year with days carrying more religious significance, such as December 25 (the anniversary of Jesus’ birth) and March 25 (the Feast of the Annunciation). Pope Gregory XIII reestablished January 1 as New Year’s Day in 1582. Paul Revere, J. Edgar Hoover, Lorenzo de Medici, Betsy Ross and Pope Alexander VI have all been born on January 1. According to tradition, babies born on the first of the year grow up to enjoy the luckiest of lives, bringing joy and good fortune to those around them. “Auld Lang Syne,” the title of a Scottish folk song that many English speakers sing at the stroke of midnight on New Year’s Eve, roughly translates to “days gone by.” Its lyrics, which rhetorically ask whether “auld acquaintance” should “be forgot,” have been interpreted as a call to remember friends and experiences from the past. Though sung on New Year’s Eve since the mid-19th century, it became firmly cemented as a holiday standard when Guy Lombardo and the Royal Canadians played it during a radio broadcast from New York’s Roosevelt Hotel at midnight on December 31, 1929. The band went on to perform the hit every year until 1976, and loudspeakers continue to blast their rendition after the annual ball drop in Times Square. "Wish I was older like wine, so that with every new year's eve you'd consume me with more love and more passion than ever. " "The countdown begins, its the right time to refresh your mind,heart and soul and have a fresh start where your each word,each thought and each feeling is so true that even god cant help out crying !!!!! have a happy new year guys.."
"The day I longed for Across the year - To welcome days Be happy together... "
"Among the Great and Glorious Gifts our Heavenly Father gives us, is the Gift of Understanding We found in Loving Friends!HAPPY NEW YEAR!!!!!!!" "As we bid adieu to 2011, we should bid adieu to the loads of tensions that we carry in our head. Whenever life closes one door that we thought was ideal, it opens another one that is even better – just that we realize it a bit later. Offload the words ‘mistakes’ from your life and replace it with ‘opportunities’ – learn from day to day things in life but ensure you are always progressing. Wishing 2012 opens million such doors for you "
"The Valentine's day is on 14th February. And, please bear with me if I am sounding selfish. God, please make every second of my life a valentine second this new year. Amen!" "years are passing away,every thing and every body is changing even me too but not my friendship with u so my dear friend i want to continue the same relation till the end. 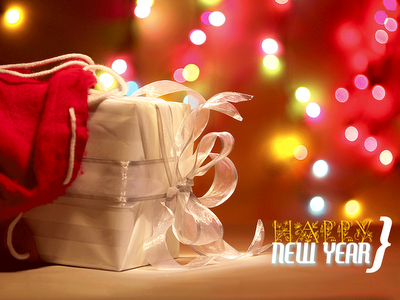 so my dear friends enjoy this new year by welcoming new thoughts in our minds .happy new year to all."